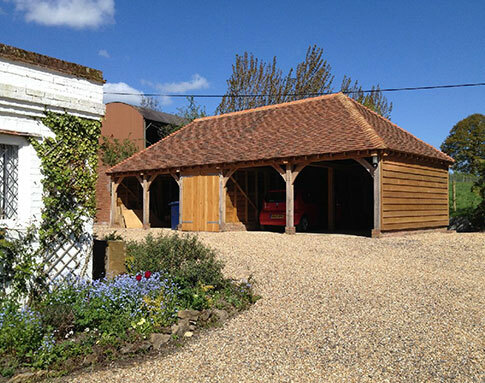 One of the most common applications for Oak framed buildings is a garage. On the left are 9 standard styles of garage buildings ranging from one-bay to 4-bay with varying roof styles and additional features such as log stores. Acorn Buildings can supply the standard building as it is or customise it in any way you like. 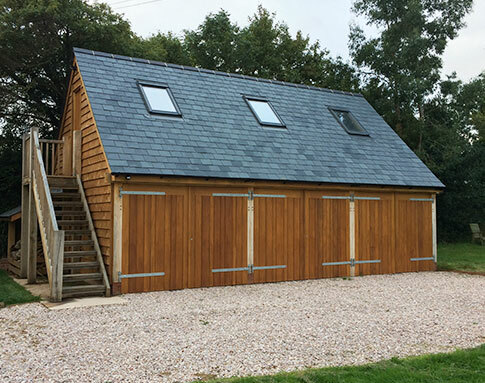 The garage building can be purchased in kit form for you to erect yourself or let Acorn Buildings handle the whole project from site survey to building the foundations to the completed building. 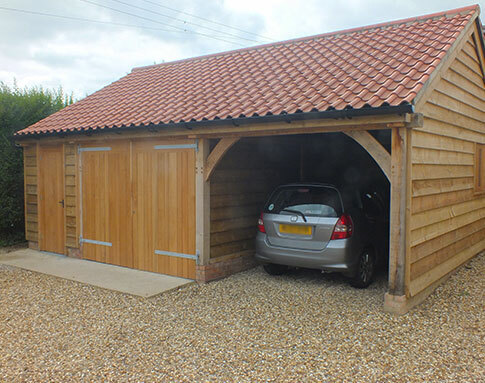 Garages can be supplied with or without doors.